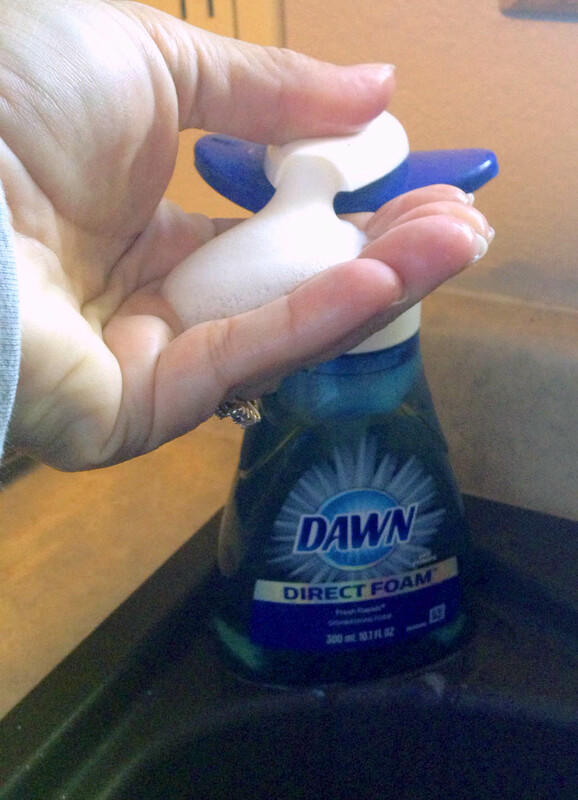 A couple of years ago I bought foaming dish soap with a coupon. I'll try new things if I can get it for a bargain. I decided to try to make my own once it ran out. After all, it couldn't be too hard, could it? There was no way I was putting out $6.00+ for that little bit of soap. Hold onto your seats! It's really complicated…N.O.T. I filled it with water to the top of the Dawn sticker – I did think about measuring it so I could give accurate measurements, but after all, it's not rocket science. 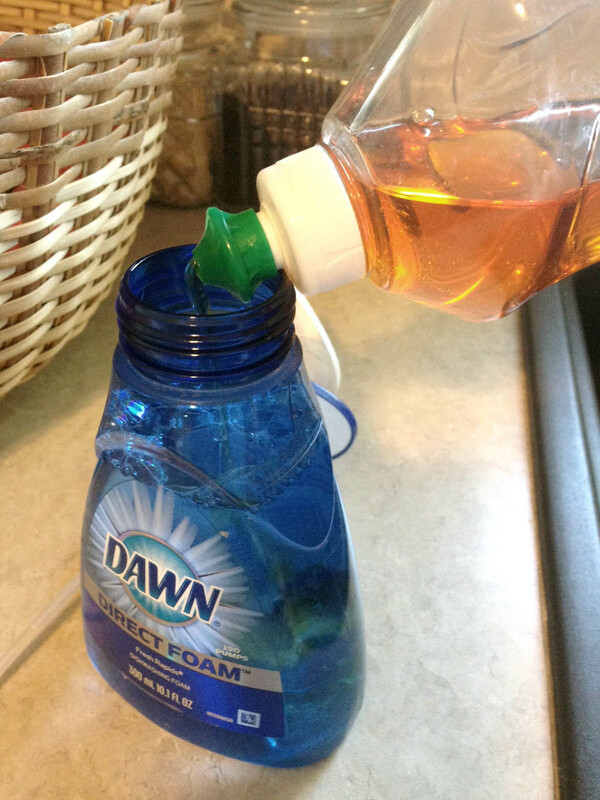 I added some regular dish soap, and voila! It foamed when I pumped it. I felt so smart! Do you think I should be a hand model? I should probably stick with being on this side of the camera. I've been refilling it every so often for about 2 years. How's that for economy? Not only am I not putting out a ridiculous amount for a little bit of soap just so I can have foam, I'm doing my part to use less plastic too. I'm not throwing away one bottle and buying another. I've used that same bottle over and over. It's kinda silly once you think about it. We use it up, throw it away, and buy another one. Why pay over and over for a new dispenser when you can just refill it with water and just a little bit of soap? I do the same with my hand soaps in my bathroom. Why not? Using foam cuts down the amount of soap you actually use, so it's a great way to ecomomize. So then you have more money to spend on DIY projects. It's all about the projects. Why spend money on soap when you can spend it on pumpkins and mason jars and paint?